Manfrotto's Element Traveller Small Black is the perfect choice for enthusiast photographers looking for an extremely compact travel solution that is reliable, lightweight and easy to carry. 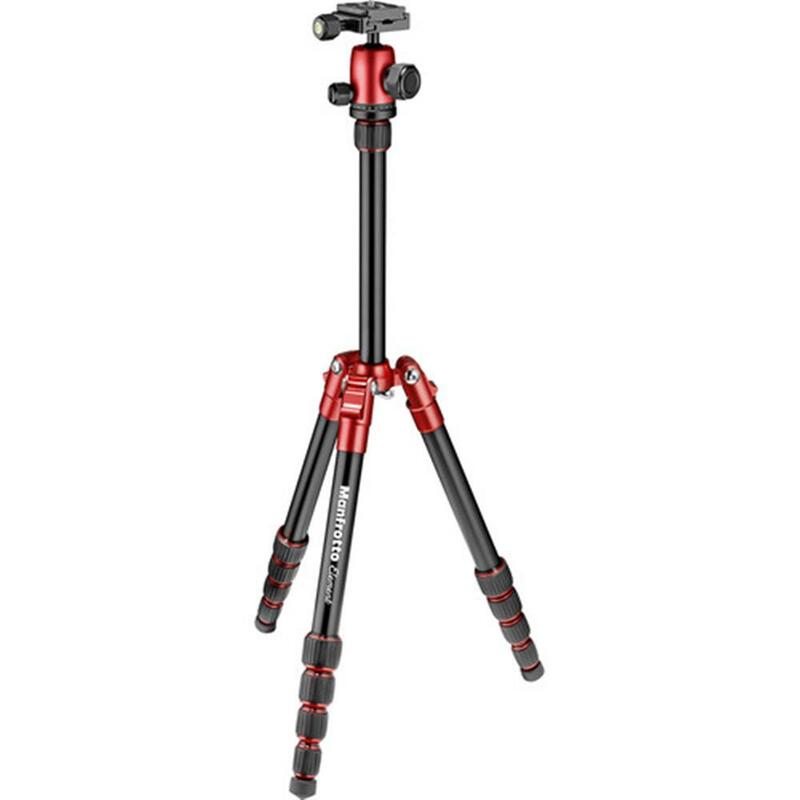 The Manfrotto Element Traveller Small is a compact, sturdy aluminium alloy tripod kit that is also highly versatile. It extends up to a height of 134cm folds down to a tiny 32cm, making it a breeze to pack in your bag. A telescopic mechanism extends the column up to a height of 134cm, making it the perfect compromise between portability and performance. The tripod's legs spread independently and feature three leg-angle stops allowing versatile positioning on almost any surface. The twist lock mechanism enables photographers to get into the perfect position with smooth, rapid movements, giving them the freedom to focus on their shots. 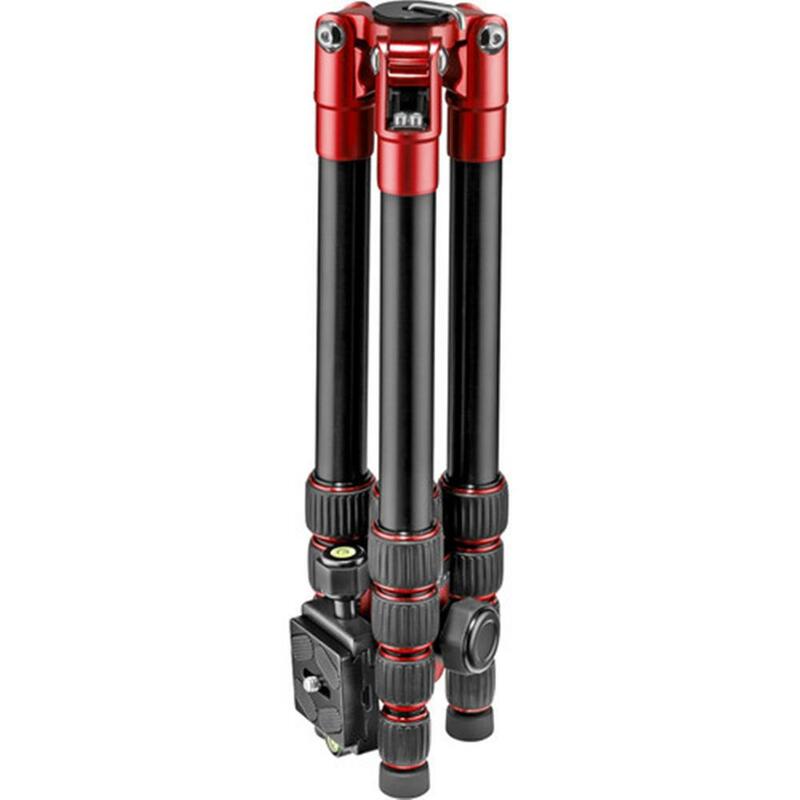 Manfrotto Element small is ideal for CSC cameras and easily holds payloads up to 4kg. The aluminium ball head is engineered to deliver the smoothest movements when framing a desired shot and firmly locks equipment exactly where you need it. If you're into landscape photography, you'll love the separate head's pan lock that allows photographers to take amazing panorama shots easily and precisely thanks to its 360 degree pan index. The ball head mounts an Arca-type quick release plate with a 1/4"-20 camera screw on top that ensures equipment is balanced when using zoom lenses.